This immaculate home wins all the prizes for location: it has side access to a lovely reserve; it's a convenient stroll to Mount Eliza's primary and high schools, shops and cafes, medical and transport services; it's beach-side of the highway, with just a short drive to Canadian Bay Beach and foreshore. This is low-maintenance living at its best, with a beautiful feeling of light and spaciousness. Truly a home you can simply walk into and enjoy. The wide entrance hallway with its feature recessed ceiling draws you through the home, past lovely indoor and outdoor spaces to the large kitchen/dining/family room, which is flooded with natural light from windows opening to the garden beyond. Zoned to offer the best mix of communal and private spaces, this home has two generous living spaces and four double bedrooms, offering great flexibility for living. Homes of this size and design rarely become available in this sought-after precinct. You can downsize without sacrificing a sense of space; accommodate a growing family or visits from the extended family; entertain friends in style, and live graciously in comfort. -	Two-car DLUG with under-cover access to the entrance of the home. -	Ducted heating throughout, split-system air conditioner in kitchen/family room, ceiling fans in most rooms. -	Master bedroom with ensuite at front of home. -	Family bathroom (inc spa bath), separate toilet. 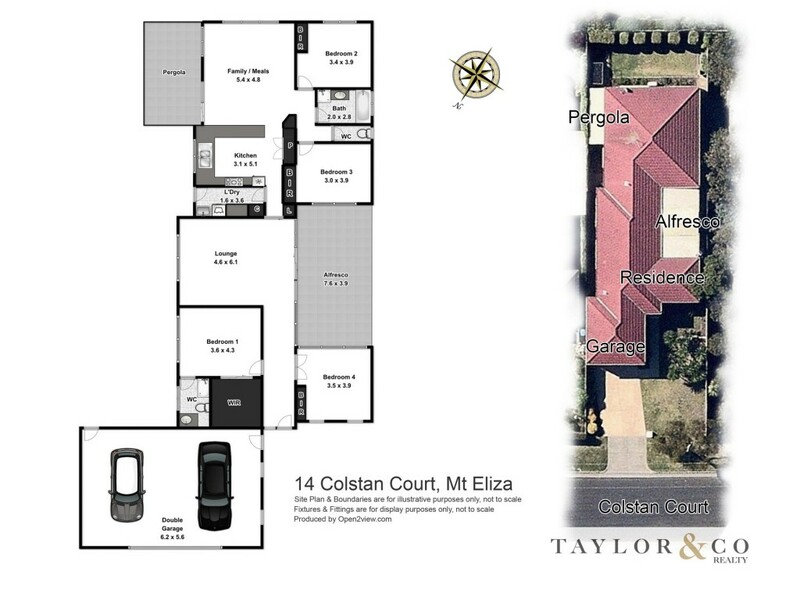 Don't miss this rare opportunity to secure a spacious and beautiful home in this tightly-held corner of Mount Eliza.